It’s rare that a picture impacts me the way this one does, so I thought I’d share it. I know, this has nothing to do with Fidel or his Family, or refugee’s in Boise, but it has everything to do with attitude. 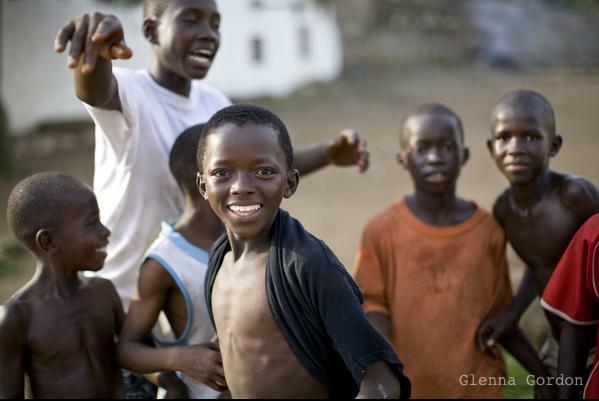 The picture was taken in Liberia by Glenna Gordon (the photographer who graciously allowed us to use her picture for our banner, above). By our standards, these boys have very little to be happy about. By the looks on the face in the back right, it’s also clear they weren’t sure who Glenna was and why she was taking their picture. They were faced with the unknown. This was a change to the status-quo. The unknown, change, can be a little frightening.